I love using the Part-Part-Whole strategy to teach addition and subtraction with students. In fact, our math curriculum utilizes this strategy very effectively. However, I always want to add "cute-ness" to the math curriculum. I've made several sets of Addition/Subtraction Task Cards, but I decided to make some printables as well. Sometimes you just need to grab a quick math grade, or check that students have a good conceptual understanding! Laminate or put pages in sheet protectors for student practice. Dry erase markers and Vis-a-Vis markers will cut down on paper copies! Each page has fun, black-and-white clip art so fast finishers can color when they finish! If you want to use these printables at a math center, grab a folder and some sheet protectors! You can also include the answer keys so students can check their own work. You can download this product by visiting my TpT store! 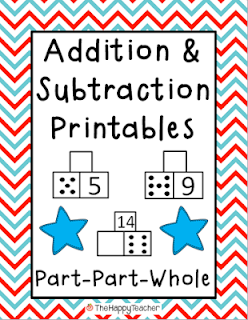 If you're not a fan of printables/worksheets, check out my Addition & Subtraction Task Cards instead! Three lucky readers who comment on this blog post (AND include their e-mail) will WIN these printables! Love how you use the page protectors to save paper! Oh these look perfect! Great idea for work stations! This looks perfect for my class!!! Hi Liz. I like the "clean" lay out of these worksheets. My homeschooler and I are currently doing addition, mostly via dice games, so this unit would complement that process perfectly. I didn't realise the strategy was called "part-part-whole". Thank you!! 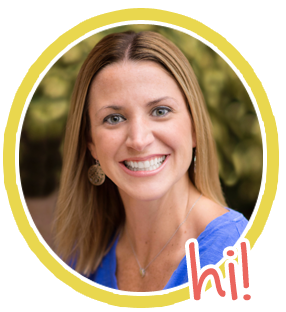 Sounds like a great way to connect addition/subtraction so kids understand it! I like these! I use page protectors too to save on copies. It's amazing what a difference part part whole has made for my class this year. These would be a great addition to our math stations. This look great! We are starting our next addition unit in a week and this would be great!